Urban living can take its toll on you. Sitting in your office for the most part of the day and going home just to sleep can hardly be called living. What you need is rest, but perhaps the outback is too far for you. Why not bring the suburb feels in your urban dwelling. The ideal patio or outdoor living space is in your head and you are advised to hire the professionals to do it for you, as this is not your weekend DIY project. Outdoor living spaces are an extension of your home; therefore, they would most likely cost a hefty sum of money. From the ideal patio placement to the best materials, the pros will give you their best opinion to bring your vision to reality. Your budget determines the scope and magnitude of the work. Your patio builder will be limited by your budget, but the design options will not. Experienced builders know all the best options currently on the market and would advise their clients on what works and what does not. At this phase, expect compromises if your budget does not allow the certain features you want. Your builder should be able to suggest viable alternatives. Shop around for an ideal builder that suits you and your taste. This mini-construction project could take weeks. Choose an experienced builder with solid work representation. If you can, get their references and give them a call. Ask to see their portfolio. A competent builder will have one readily available. In fleshing out the design of your outdoor living space, consider your family members who will share that space with you. Smaller kids prefer water activities and lots of space to run around. Teenagers tend to prefer lounging areas where they can relax with friends. Would you want to have a barbecue and beer with your mates on the weekends? Answering all these questions would save you a lot of trouble and money down the line. Design concepts must be solidified at the start of the project. 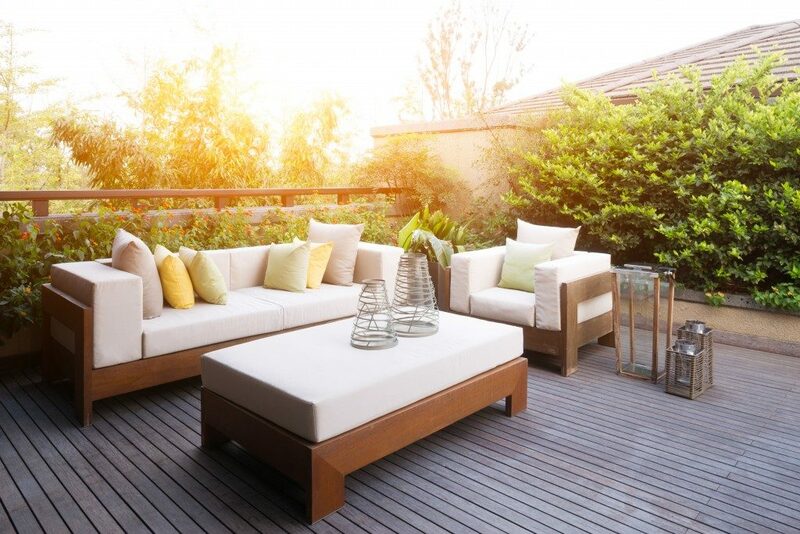 Go online and look for outdoor furniture that suits your taste. Your chosen furniture must blend in well with the furniture you will get. Remember that it is not just aesthetics you’re after. You want outdoor furniture that is durable, comfortable, and pleasing to the eyes. Typically, no loud colours should be allowed in this area. Cold nights even in the summer are inevitable and a fireplace or fire pit becomes the focal point in your outdoor living space. 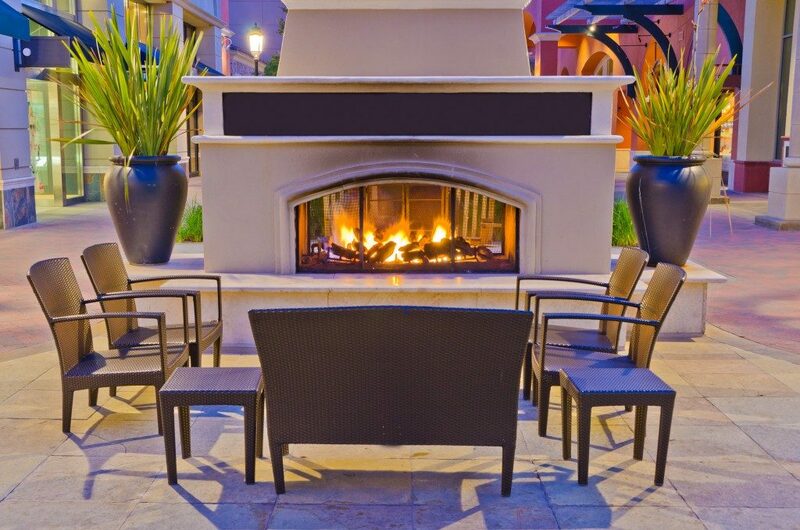 Choose just one—a fire pit is smaller and makes for a cosier gathering spot. A fireplace, meanwhile, is larger and gives off more heat. The idea is to enjoy the outdoors in your backyard and part of that is relying on natural light. Let the moon’s glow bathe you in its warm embrace, but make sure the path to the bathroom is clearly lighted. This is the crown jewel of your outdoor living space. It is where everybody will gather to talk, share stories and create memories together. Your fire pit would most likely be at the centre. There must be ample surfaces for seating and to be used as tables if there is food. A separate outdoor dining area is not necessary if you have designed your outdoor seating area in a smart way. This is where creativity comes into play. There may be other things to add to your patio or outdoor living space—an entertainment system, outdoor TV, or a grill—but the basic is what truly matters. Lay a good foundation of a well-thought-out design. It is easy to make adjustments to your patio later on. With these ideas and a good patio builder by your side, you can create a comfortable outdoor living space in your property.